Now that we’ve got you ready to indulge in some yummy, local fall foods, it’s time to get ready for all of the events about to go down in the next season. 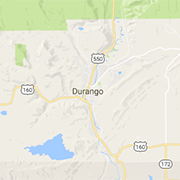 Durango loves to have lots of fun, and so do all of our neighbors. We want you to have every opportunity to hit all of the upcoming entertainment in all four corners, not just our town. With that being said - here’s the Autumn Adventures Lineup. Do yourself a favor and bookmark this page for that one weekend when you can’t think of anything to do. We’ve got you covered this season! You know Summer is over when the lines and parking downtown begin to open up a little bit. Later in the month usually marks the peak of call colors, but throughout the month one can see gorgeous landscapes of aspen, cottonwoods, maples, elm, scrub oak, and others changing color, and the temperatures begin to feel more like fall. Whether you want an in-town experience or a weekend getaway, September’s got plenty going on! 9/15 - Harvest Dinner with Local First. In case you missed it, check out our last article about Fall Foods to learn more about Local First and their amazing annual dinner gathering, made from all local foods! 9/15-9/16 - Durango Autumn Arts Festival. Head to the Durango Arts Center that weekend to attend a fine arts and fine crafts festival. Meet some of the talented artists that saturate these region! 9/21-23 - Parade of Homes. Meet the finest craftsmen and builders of the Southwest Colorado area and experience their work by touring the magnificent homes they worked so hard to craft. 9/29 & 9/30 - Fall Photographer’s Train with Durango & Silverton Narrow Gauge Railroad. This is the perfect opportunity for photographers of all levels to capture photos of the train in all of the autumn color! 9/18-10/31 - Sedona Ales on Rails with Verde Canyon Railroad. Ride the scenic train through Arizona in autumn with it’s beautiful colors while sipping on crafted brews. 9/19-9/23 - Mother of all Boogies, Moab Skydive Festival. Good views, good food, and good skydiving. Even if you’re not an adrenaline junkie and ready to fall out of a plane, show up to be a part of the festivities and watch others freefall! 9/21-9/30 - Taos Arts Fest. Drive on down to the Land of Enchantment to spend time enjoying and celebrating the artists of Taos and their incredible work. 9/23-9/30 - Sante Fe Wine and Chile Fiesta. 90 wineries and 75 restaurants come together for a five day weekend filled with delicious wine and food. If you’re a food and wine lover, get your tickets now. 9/28 & 9/30 - Albuquerque Dirt Fest. Mountain Bikers and Trail Runners alike - waste no time and register for the Albuquerque Dirt Fest by Zia Races! Oktoberfests, Halloween, art festivals, and one of the true months of the autumn season. The fall fun only continues in October. 10/4-7 - Durango Cowboy Poetry Gathering. Show up expecting to celebrate western culture's poetry, music, and a colorful downtown Durango parade [expose on last year's event]. 10/6 - Oktoberfest at Purgatory Resort. Craft beer, local food, live music and the view of the San Juans! Don’t miss out on the annual event. 10/13 - Ska Durango Double. Trail run and Mountain Bike race teamed together here in Durango. Get registered! 10/6, 7, 13, 14, 20, 21st - PEANUTS Pumpkin Patch Express with the Durango & Silverton train. Join the Charlie Brown themed train ride to a pumpkin patch to kick off the fall season. 10/4-6 - Flagstaff Star Party. Bring some friends to look at the night sky and participate in the fascinating presentations about our stars! 10/13-14 - Sedona Arts Festival. Head to Sedona to view magnificent art and support the artists of Arizona. 10/13 - Aravaipa Trail Running Thrasher Night Series. Runners, get ready for the seventh race in the Night Series. Register soon! 10/5-7 - Outerbike. Wanna ride the best demo bikes of the year? Head to Moab and start riding! 10/25-27 - Moab Jeep Jamboree. Hit up one of the best 4x4 destinations in the world with other off-roaders for a fun weekend. 10/6-14 - Albuquerque International Balloon Fiesta. Watch, ride, and enjoy the hundreds of Hot Air Balloons going up into the sky in Albuquerque. 10/17-21 - Santa Fe Photo Contest. Head to the base of the Sangre de Cristo mountain range to experience and participate in the Santa Fe Photo Contest.